The Hoosier State offers several options for students looking for a master's in communication program. With on campus and online programs to choose from, students can also tailor their degree to their own career aspirations with concentrations available in health communication, journalism and media studies, corporate communication, public relations and many others. Upon graduation, communication experts will be well prepared to advance their careers in one of Indiana's top industries, including life sciences and healthcare, automotive and motor sports, cybersecurity and information technology and advanced manufacturing. See below for more details about the master's in communications programs available in Indiana. Ball State University in Muncie offers two options for masters-level communication degrees, both offered as traditional on campus programs. What to Know: The Master's Degree in Communication Liberal Arts & Sciences includes 12 credits of general communication core courses, 15 credits specific to your master's in communication liberal arts and sciences and nine credits of electives, including the opportunity for a paid professional internship. The Master's Degree in Organizational and Professional Communication and Development is aimed at helping students advance their professional careers in public relations, human resources, sales and marketing and many other communication-related fields. What Does It Cost? : Graduate level tuition and fees for Indiana residents is $9,456 per academic year, and $21,954 for non-residents per academic year. Anything Else? : Both programs culminate in either a thesis / research paper or a written and oral comprehensive examination. Indiana State University in Terre Haute offers a Master of Arts in Communication degree in an on campus format. What to Know: The Master of Arts in Communication program is a 33-credit program that includes study of many areas of communication including political communication, international communication, rhetorical studies, journalism, health communication, interpersonal communication and more. What Does It Cost? 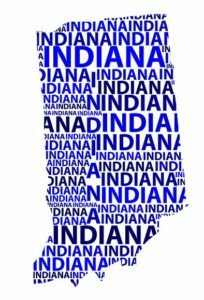 : The cost per credit hour for Indiana residents is $404, and $793 per credit hour for non-residents. These fees do not include additional university or course fees. Anything Else? : The application deadline for the program is March 10. Indiana University - Purdue University in Indianapolis offers a Master of Arts in Applied Communication. What to Know: The on campus Master of Arts in Applied Communication program offers optional concentrations in Corporate Communication, Health Communication, Media Criticism and Public Communication. What Does It Cost? : Graduate level tuition and fees for Indiana residents is $3,665 per semester, and $9,200 per semester for non-residents. Anything Else? : The priority application deadline is January 15 for consideration for the fall semester. The regular admission deadline is May 15 for the fall semester. Indiana University - Purdue University in Fort Wayne offers a Master of Arts and Master of Science in Professional Communication as an on campus program. What to Know: The Master of Arts or Master of Science in Professional Communication offers three specialties for students to choose from: Interpersonal and Organizational Communication Theory, Media Studies or Critical/Cultural Studies. What Does It Cost? : Graduate level tuition for Indiana residents is $342 per credit hour, and $775 per credit hour for non-residents. Anything Else? : The recommended application deadline is February 15 for the fall semester. The final application deadline for domestic students is April 15. The recommended application deadline for the spring semester is September 15 and the final deadline is November 15. Purdue University in West Lafayette offers an online Master of Science in Communication program, as well as traditional on campus Master of Arts or Master of Science in Communication programs. What to Know: The online Master of Science in Communication program can be completed in as little as 20 months and offers two professional concentrations: Strategic Communication/Public Relations and Integrated Communication and Advertising. The on campus Masters in Communication program is customizable, allowing students to choose majors and minors that appeal to their career aspirations, including Health Communication, Interpersonal Communication, Media, Technology & Society, Organizational Communication and Public Relations. What Does It Cost? : The total program cost for the online program is $13,500 for Indiana residents, and $22,500 for non-residents. Graduate level tuition at Purdue University for on campus programs is $4,996 per semester for Indiana residents and $14,397 per semester for non-residents. Anything Else? : The application deadline for admission to the fall semester for the on campus program is December 1. The online program reviews applications on a rolling basis for the fall, spring and summer semesters. Purdue University Northwest offers a Master of Arts in Communication program on their campus in Hammond. What to Know: The Master of Arts in Communication program offers courses in the evening hours to accommodate working professionals, and is designed to be completed in two years. What Does It Cost? : Graduate level tuition for Indiana residents is $288 per credit hour, and $636 per credit hour for non-residents. Anything Else? : The application deadline for admission to the fall semester is April 15 for domestic students, November 15 for the spring semester and April 15 for admission in the summer.